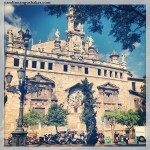 Seville is Southern Spain’s de-facto capital and a must-see on the tourism circuit. It’s also the center of politics and culture in the south. 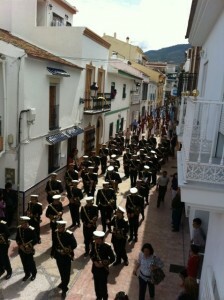 Antequera, on the other hand, is in the dead center of Andalusia and about as typically Spanish as you can get. Here we give you the battle between settling in Andalusia’s largest city, Seville, or enjoying the small town charm of Antequera. 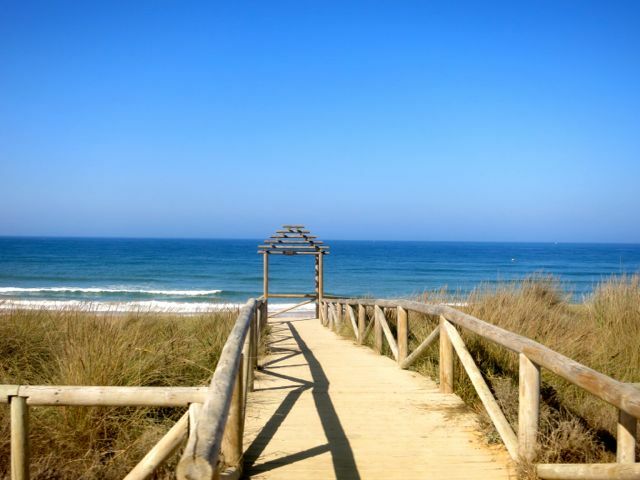 Proximity to the beaches and mountains: Seville is located in the Guadalquivir Valley and sits at just one hour from both the beaches in Huelva and the mountains in the Sierra Norte or Cádiz. It’s also not far from the Portuguese border. Interurban transportation and friendly on cyclists: Home to an international airport, a major train station, and two bus depots, it’s easy to travel from Seville to destinations all over Spain. Several major motorways service the city, too. Seville has also received the accolade of being Spain’s most bike-friendly city, thanks to its flat terrain and over 100 kilometers of bike lanes. 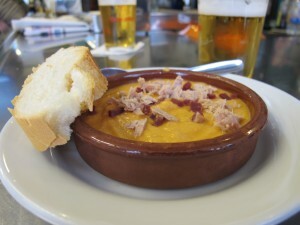 The tapas and dining scene: Seville is well-known for its tapas, a small dish consumed at mealtime. Locals say the bar culture has kept the economy afloat, and the establishments are practically a Sevillano’s living room. What’s more, Seville offers several other types of cuisine, from Indian and Mexican to Argentinian, so you won’t have to eat tortilla española at every meal. Beauty, folklore, and history: It’s impossible to keep Seville’s charm a secret. From the horse-drawn carriages to the eclectic architecture, the city is full of beautiful corners to explore. 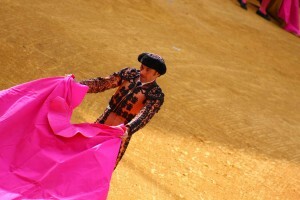 Seville is also quite traditional, so flamenco and bullfighting are common art forms and synonymous with the city. Living in Seville means never getting bored of its beauty. Historic Seville is one of the many culture and contributions to Spanish patrimony. After all, it was here that the Catholic Kings gave Christopher Columbus money to discover the New World, and the riches the conquerors brought back were funneled through the city. This has left its legacy in both architecture and language, making Seville a culturally rich city. Local festivals: Known for both its extravagant Holy Week and colorful local fair, Seville actually has a local minister solely dedicated to the springtime festivals. Because Seville is a cultural capital, there are plenty of flamenco shows, music festivals, and gastronomic markets throughout the year. Strong international contingent: Truly a city with international flair, Seville has become home to people from many cultures without being too overwhelming. There are several international groups for expats to join, allowing us to stay in contact with our language and culture. 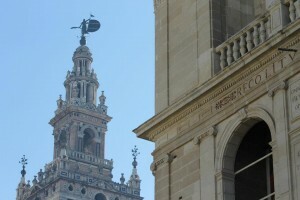 Seville is also home to two universities, meaning Erasmus students arrive in droves during the academic year. 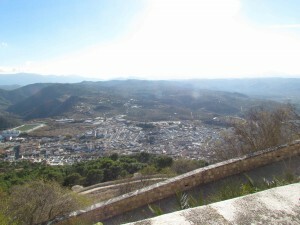 Location, location, location: Antequera was nearly chosen as the capital of Spain’s Southern Autonomous Community for its strategic position in the geographic center of Andalucía. Nowhere are you better positioned to visit the South’s most famous cities than in Antequera. Head north to Córdoba or south to Málaga and arrive in just under an hour; while a trip west to Seville or east to Granada will take you around an hour and a half. 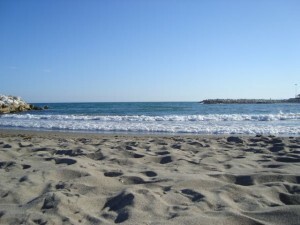 Antequera is also within an hour’s drive to the famous Costa del Sol beaches. Are mountains more your scene? 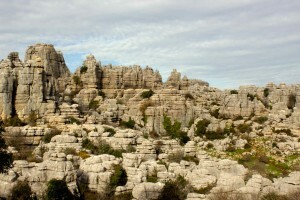 Just 15 minutes outside the city is the famous El Torcal Park and Nature Reserve with Jurassic age rock formations that will take your breath away and transport you to another time. Transportation: If you’re looking leave Andalucía, book high-speed train travel to Madrid from Antequera’s Santa Ana AVE station and arrive in two and a half hours. 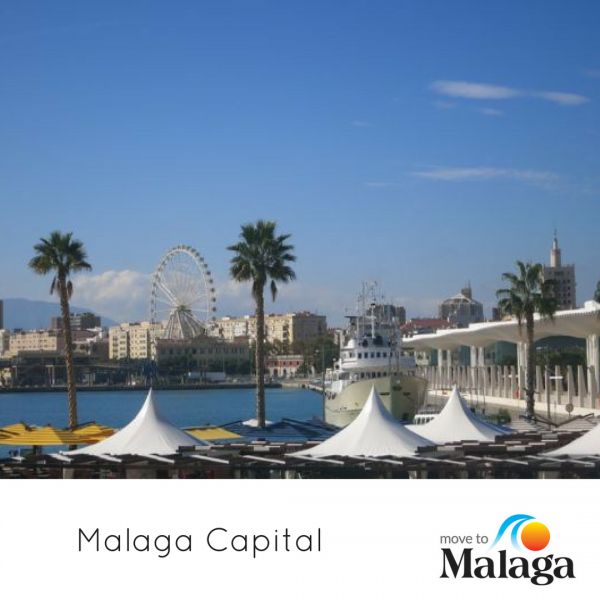 Or try Málaga’s International Airport, Spain’s fourth busiest with major routes servicing Spain, Europe, America, and Asia. 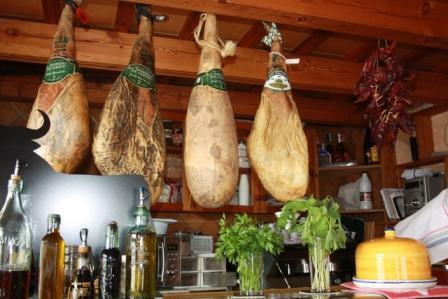 Eat on the cheap: If you’re looking for a traditional tapas experience look no further. Antequera keeps Spain’s culinary tradition alive and well by charging clients just over 80¢ for a small plate of food to accompany their drink of choice. 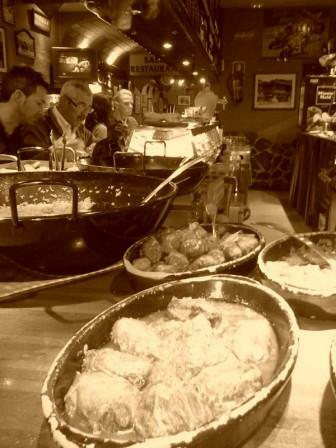 Take advantage of the small portion sizes to sample a variety of tapas and expect to spend a mere 10€ on a meal out. Still not full? Don’t forget to save room for breakfast! Antequera is known throughout Spain as home to the mollete, a delicious white bread roll served lightly toasted and spread with any number of typical breakfast toppings from tomato and olive oil, to jam or even paté. 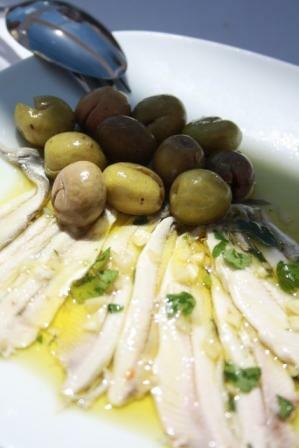 Though you’ll see mollete on menus all over Spain, the best can only be found in Antequera. 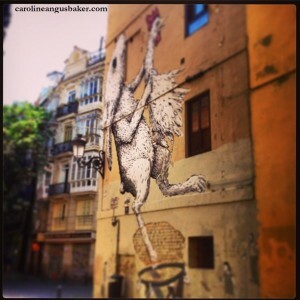 Culture: Where better to soak up Spanish culture than in this typical mid-sized city? Antequera hosts two ferias each year, one in May and the other in August, which coincide with bullfights at its bullring, built in 1848. 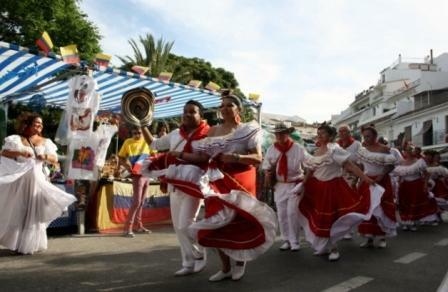 Other festivals throughout the year keeps things lively: don’t miss the Tapa Fair usually held in June, September’s Medieval festival or February’s Carnival celebrations. Practice makes perfect: Looking to perfect your Spanish? Try living in a small town rather than a capital city. With very few fellow ex-pats to depend on it would be almost impossible not to improve your Spanish while living in Antequera. For every upside to living in Seville, there seems to be a downside. It’s actually an odd paradigm that expats get used to, but the annoyances sometimes creep up from time to time. Limited flights from the San Pablo airport: Seville’s airport is quite small and doesn’t fly to many international destinations. 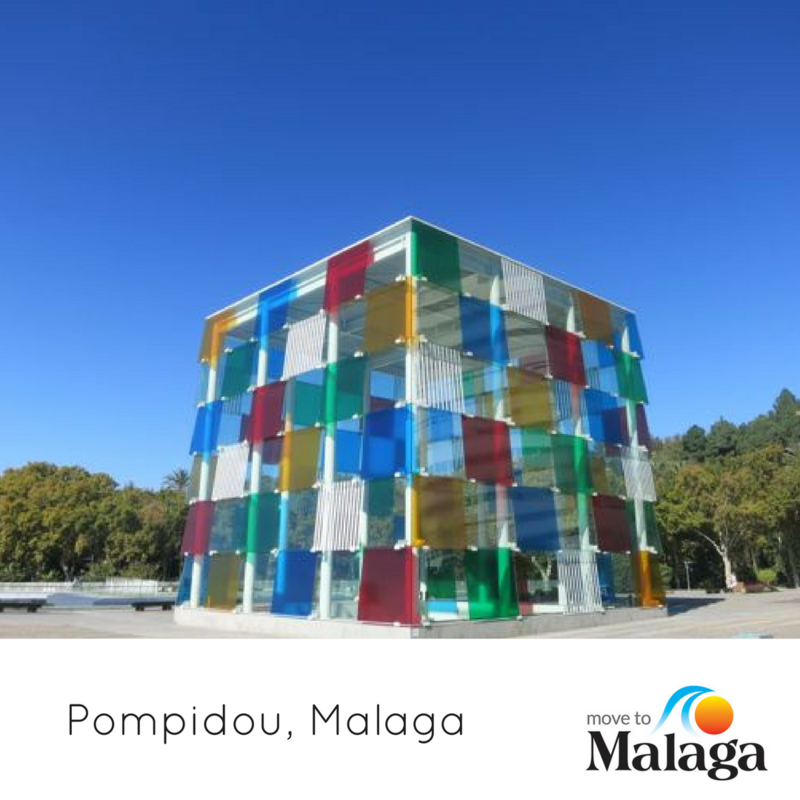 This means flying from Málaga or Madrid is sometimes necessary, or catching several flights to reach your destination. 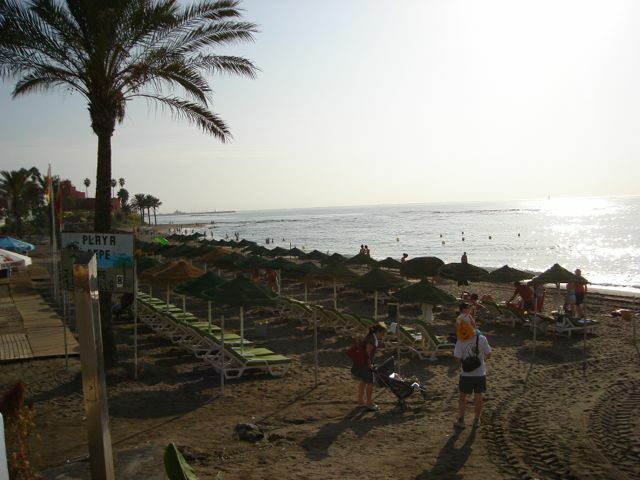 Still one hour from beaches and mountains: Seville is relatively close to the coast and to the mountains, but not that close. When you choose not to have a car, escaping the city can be tricky. City-wide public transportation: While Seville is considered a transportation hub, the local public transportation leaves much to be desired: it’s expensive, slow and doesn’t reach every part of the city. Biking and walking is the best way to get around. The heat: Seville is one of continental Europe’s hottest cities, and May to October feel like living in a sauna. Because the city sits in a valley, all of the hot air remains trapped over the city, a meteorological phenomenon known as El Bochorno to locals. 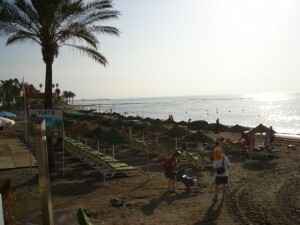 No wonder so many sevillanos head to the coast every weekend! 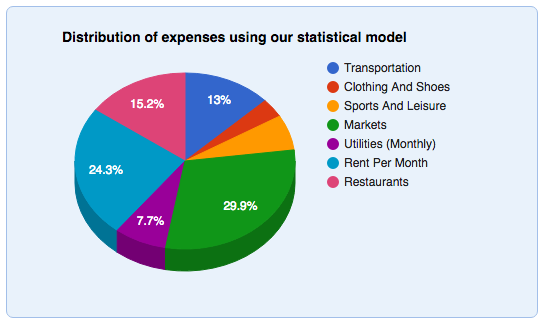 Cost of living is higher: Naturally, living in a city means paying more for rent, entertainment and transportation. 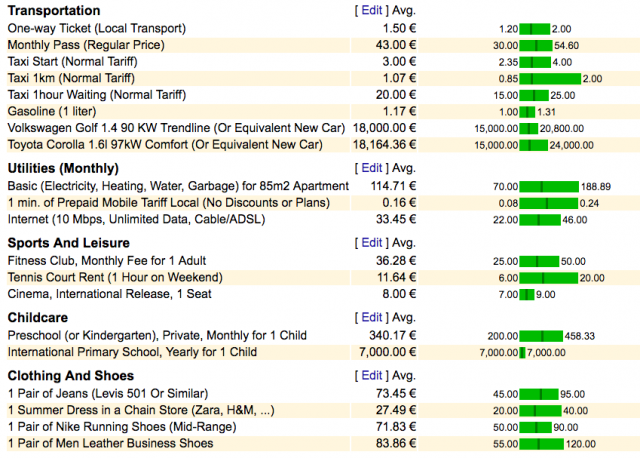 Aspiring expats should check out the cost of living as part of their research before choosing a city over a small town. 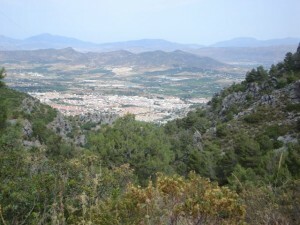 Small town blues: Life’s certainly far from perfect in Antequera. While locals are friendly and open, with only one cinema, a small shopping mall and a handful of grocery stores, expect to run into the same faces again and again. If you’re a fan of anonymity, Antequera is not the place for you. Missing home? : It’s been a long day and nothing would make you happier than to kick back with some fellow English speakers in front of a hot plate of Mexican nachos, some spicy Indian curry or even a bowl delicious Thai noodles. Not in Antequera. If you’re a fan of frequent international flavors and company this traditional Spanish town may not be for you. Buy a car: Antequera is well positioned in the heart of Andalucía; but you’ll be hard-pressed to take advantage of its stellar location without your own transportation. While busses and trains to major cities and small villages do exist, their timetables are famously irregular and inconvenient. Have we peaked your interest? Have you made a decision? Are you a North American thinking of relocating to Spain? Get in touch. Do you agree or disagree with Cat and Hayley’s thoughts? Where would you rather live? 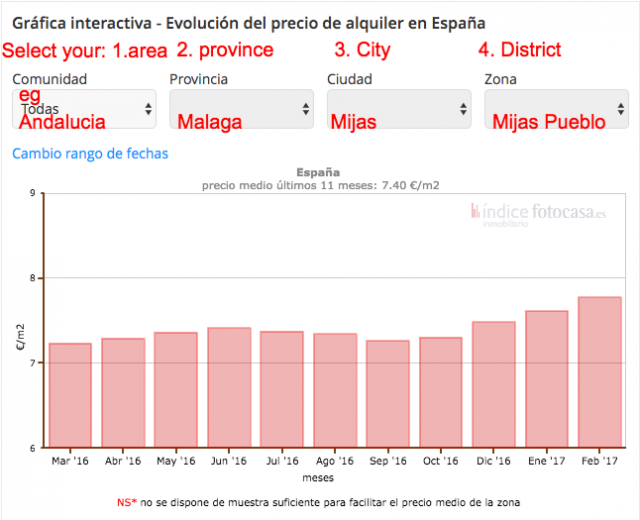 Post your comments and we will welcome other ideas too about where to live in Spain. 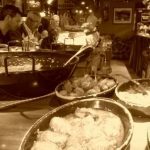 The next post in our series of guest posts about living in Spain and looking for the best place to live in Spain, written by people who have actually lived there. 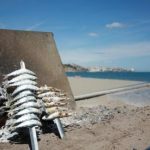 This time Diana tells us about the maybe lesser known towns of Archidona and Frigiliana in southern Spain. 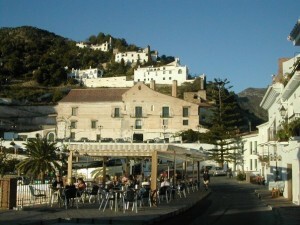 The café and restaurant life in Frigiliana is fabulous, there are so many bars and restaurants to choose from and all have stunning views. You also have a huge choice of international cuisine in nearby coastal towns such as Nerja and Torrox. The nightlife is a little quieter, apart from the bars that are open until late, but there is a great choice of bars, clubs, shows etc in nearby towns if that is what you enjoy. 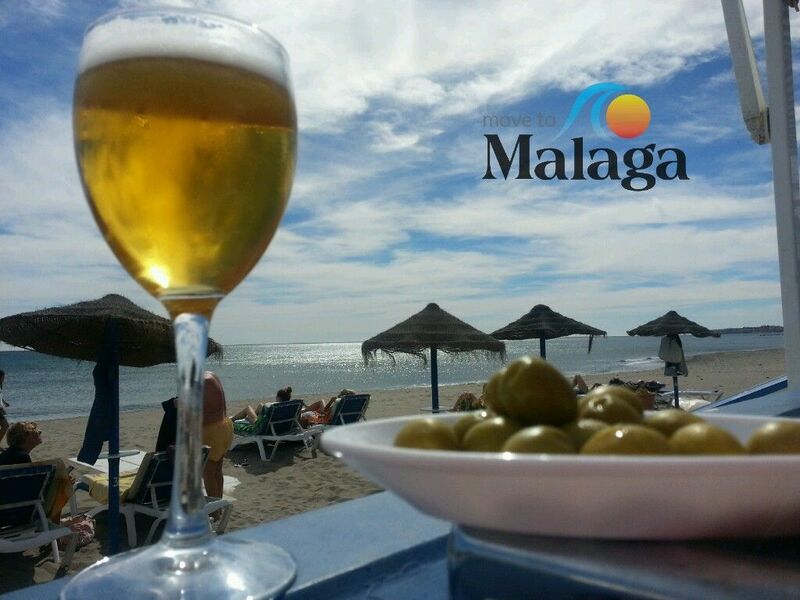 Frigiliana is close to the beaches of the Costa Del Sol and all the attractions there, all of the main motorways and airports are easily accessible. 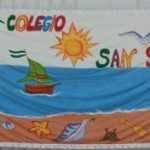 You are close enough to the international school at Almunecar if that is the type of education you would prefer for your children. If not there is a primary school in Frigiliana and other primary and secondary schools in nearby Nerja. If you need to use public transport there is a regular bus service from Frigiliana to Nerja daily and from Nerja you can travel to other major cities by bus. There are lots of great walking routes and mountains to explore in the area if you enjoy walking or climbing then this is the place to be. 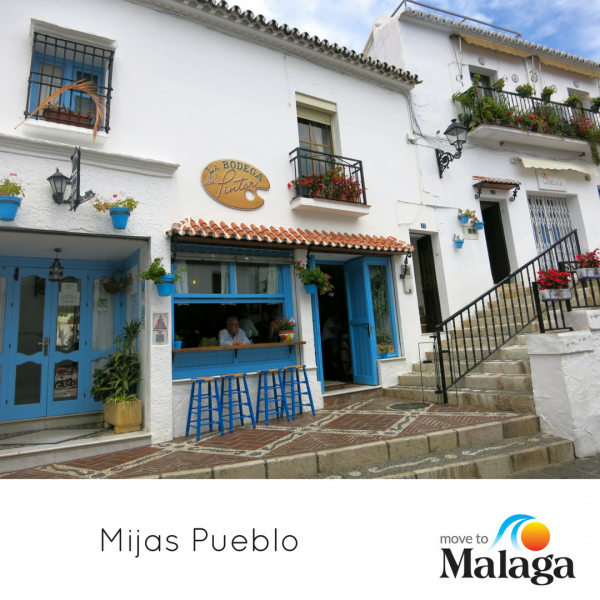 Frigiliana old town is steeped in history with many winding cobbled streets and steps leading to who knows where to explore. There is a large expat community in this area, as, in most areas of the coast, this means contacts and friends are made easily here. 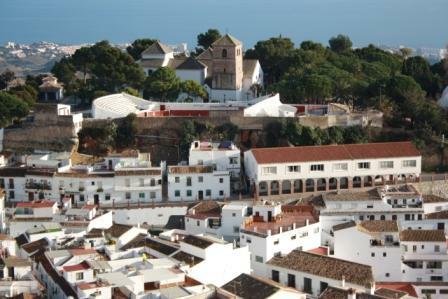 Frigiliana has its own microclimate giving a more moderate climate all year round compared to some other places in Spain. The summers warm and humid and the winters are mild here with snow being very rare. 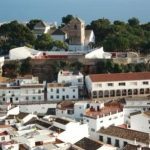 There is a more international feel in this area and the Frigiliana 3 Cultures festival is testament to that, celebrating the history and multi-culture of the town. Archidona is more or less central in Andalucia so if sight-seeing and travel are your things it is a fabulous base to explore the whole of Andalucia. There are two primary schools and two secondary schools here so a great choice of education and all are equally as good as the next. Granada, Seville, Malaga and Cordoba universities are all within easy driving distance for those with older children. The town and surrounding villages are very family orientated, everyone knows each other and what you are up to, you can judge for yourself whether you think that is a good thing or a bad thing! 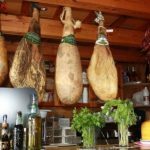 Inland Spain is much more “Spanish” than the coastal areas, you won’t find many people who speak English so learning the language is a must here. Archidona is very traditionally Spanish, there aren’t many people of different backgrounds living here so it’s a great place to immerse yourself in real Spanish life. 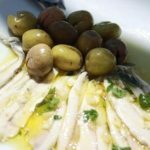 The bars and restaurants in Archidona all serve Spanish food and free tapas and you won’t find it difficult to find a cheap and filling “menu del Dia” for around 7 or 8 euros for 3 courses. There are local walking groups and lots of lovely walking routes to get you out and about in the glorious countryside. If you prefer more defined seasons, weather wise, then you will prefer to live inland where summers are hotter and much less humid than the coast and winters are cooler, we even get snow here every other year or so! 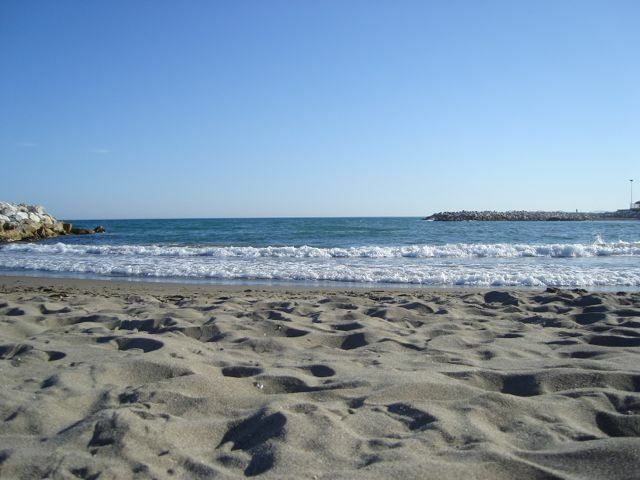 If you are visiting or moving to Spain to get away from all the hustle and bustle of home then you will love it here, it is quiet and has fewer tourists and visitors than the busier Costa Del Sol. 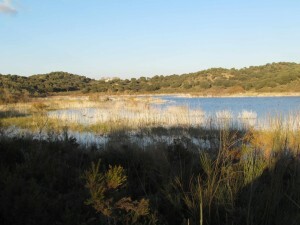 There are 2 lakes in Archidona which are nature reserves and we are also close to Lake Iznajar and the El Chorro lake district for water sports, fishing and sailing. 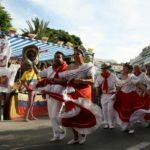 Local festivals are an intimate affair where locals meet up to dance and drink the night away and you can see toddlers and great grandparents until all hours of the morning enjoying the festivities. I can’t really give you the bad points as in my opinion there aren’t any for either! It depends entirely on your age, family life, work and education needs as to which you prefer. 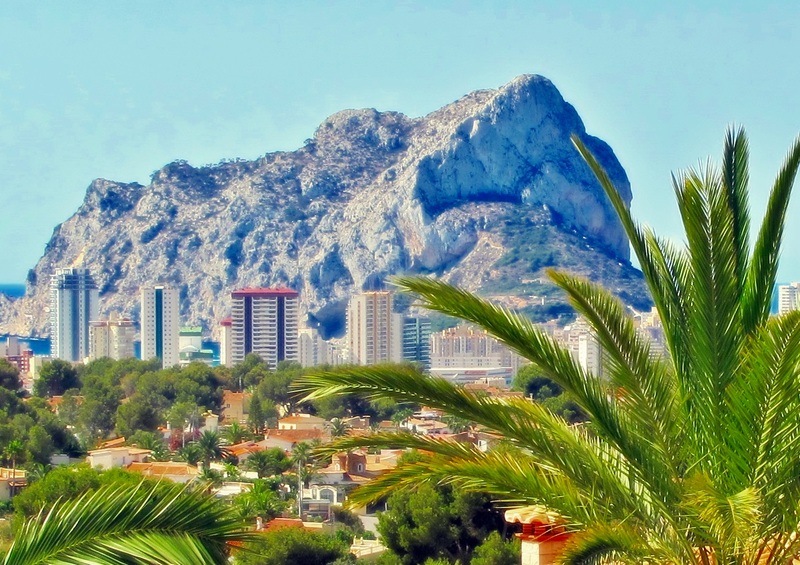 Some like the more cosmopolitan atmosphere of the coast with its more modern lifestyle and infrastructure while others prefer the more laid back and traditional life that inland Spain offers. Do you agree or disagree with Diana’s thoughts? Where would you rather live? 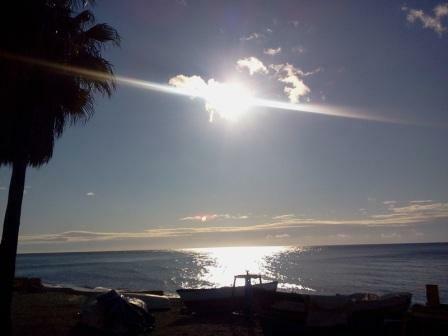 Post your comments and we will welcome other ideas too about where to live in Spain. We have recently recorded a series of Moving to Spain videos that cover subjects that we are regularly asked about. 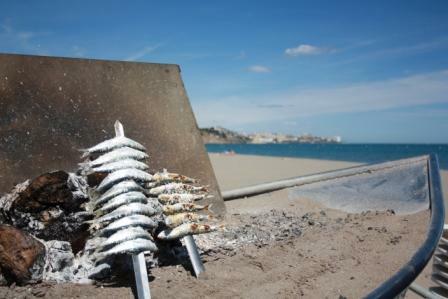 (As we mentioned in our post: The 12 days of christmas 2013 a confession and #wabas12) Although entitled “Moving to Spain with Children“, the majority of the information discussed will be useful to all ages and for anyone looking for moving to Spain videos with hints and tips. We cover important issues that you should consider, before, during and after your planned move to Spain. Once you have watched them, send us any questions you have that we have not already covered and we’ll use them in our next series ..
VIDEO 1: The important facts about applying for an NIE in Spain and Spanish residency. Many people are unsure whether they should apply for an NIE or a residency certificate. We explain the differences and how to easily submit your own applications. VIDEO 3: Money Matters: Using currency transfer specialists can help you to save money when moving to Spain. 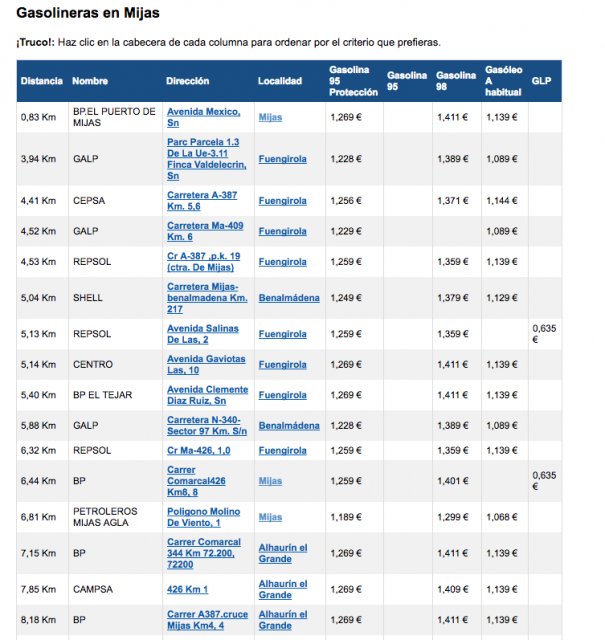 You do not need an NIE to open a Spanish bank account …. VIDEO 7: The importance of timing: Timing your move to Spain is fundamental for a successful relocation. VIDEO 8: Making friends and meeting people: Too many people worry about not making friends when they move abroad. 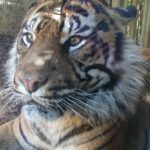 Social media is a great tool for making new friends. 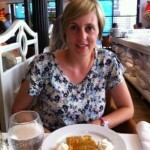 I chat with Ali Meehan, founder of Costa Women about making friends in Spain. 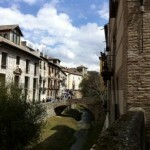 VIDEO 9: Language issues: Learning Spanish will only enhance your experience of living in Spain. Do your research: not everyone in Spain speaks Spanish (ie castellano), regional languages also exist! 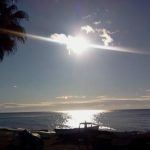 If you are thinking of moving to Spain and wondering where to live in Spain , it is always interesting to hear what other expats living in Spain have to say about areas they have lived in. From the stimulating and spontaneous Mediterranean coast, to the noble and austere heart of Spain, Valencia and Madrid have much to offer for both holiday-makers and those wanting to make Spain their home. While the luminous coast and the sagacious inland cities are different, they both have much to offer. So often a cliché, but with at least 300 blue-sky days per year, your soul with thrive in the light and warmth of Valencia. 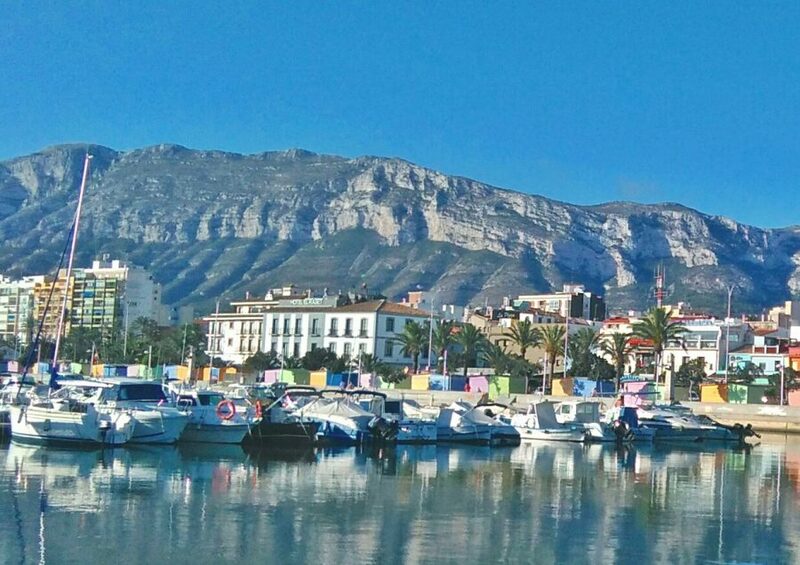 Spain gets cold in winter, something often forgotten by outsiders, but while most of Spain shivers in the depths of winter, Valencia remains milder than its counterparts. Have no fear, skiing is not far away if you like to chill, but be prepared for 20-degree winter days, as well. When summer rolls around, I love to relax in the hot sunshine, or kick back on the beaches tantalisingly close to the city centre. Valencia boasts a park to die for, nestled in a dried riverbed. Seven kilometres of both revelry and solace runs through the city like a vein of indulgence. 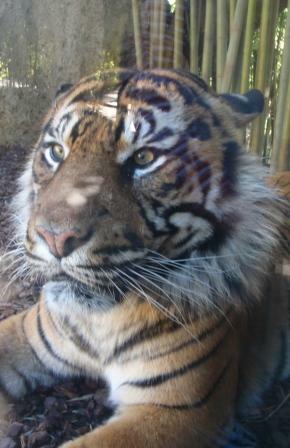 It starts with the wondrous Bioparc zoo; the green belt weaves its way past lucky locals with sports fields, playgrounds, cafés, cycle lanes, paths to stroll along, ponds and fountains, and greenery all around. 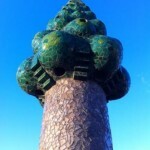 The park comes to rest gently near the sea, blessed with the magnificent Ciutat de les Arts i les Ciències, the City of Arts and Sciences complex, giving all day beauty and entertainment. Sitting under a tree for a picnic or watching a dolphin perform – the Turia has it all. Don’t bother driving this amazingly compact city; you can walk from one side to another. From the beaches just north and south of the city centre, to the majestic old town, and everything in between, you will see it all in no time. Airport and train links can have you anywhere in hours. Smaller towns and the stunning Albufera Lake also beckon nearby, giving a whole new perspective on the Valencian region. Valencia has an air of spontaneity and enjoyment. From the lavish and exciting Las Fallas festival to everyday activities, Valencia makes me feel young. Less concerned with an official identity compared to other cities, Valencia allows freedom and contentment. Whether I want to walk around wearing my best, or take it casual, I slot right in. 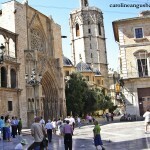 When I first moved to Valencia, I had no idea about the Spanish lifestyle, but Valencia has no set rules. First settled by the Romans over 2000 years ago, the jewel of a city has been a prize ever since. The ruins of the first settlement remain; right alongside many more structures carefully crafted and adored over 1000 years or more. The Valencia Cathedral, the Gothic Torres de Serranos and Torres de Quart, La Sonja silk market, Mercado Central, Miguelete bell tower, Virgen de los Desamparados basilica, medieval churches and a host of art museums are just some of the sights to explore. Valencia’s commitment to ensuring its place as a beautiful eternal city rewards locals and visitors alike. Valencian is an official language right alongside Spanish in the region. This variant of Catalan is taught in schools, to preserve the tradition. Valencia city itself has its own unique variant, but if you only speak Spanish, that’s okay too. Increasingly, people in the city are speaking more English if you are truly stumped, a stark contrast to a decade ago. 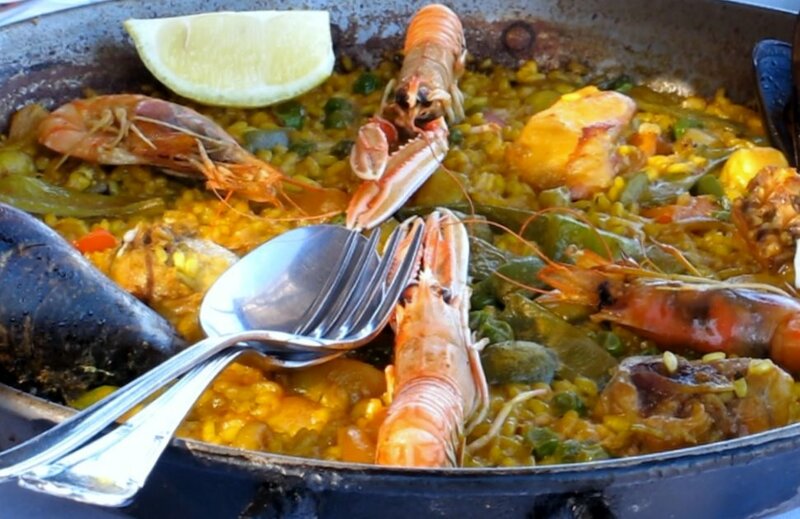 You won’t get authentic paella anywhere but Valencia, and you can swap the usual churros and chocolate for more local horchata and fartons if you want to immerse yourself more. Las Fallas, a truly Valencian fiesta, will make you feel at home as you learn to burn giant statues on every street corner to welcome in springtime. 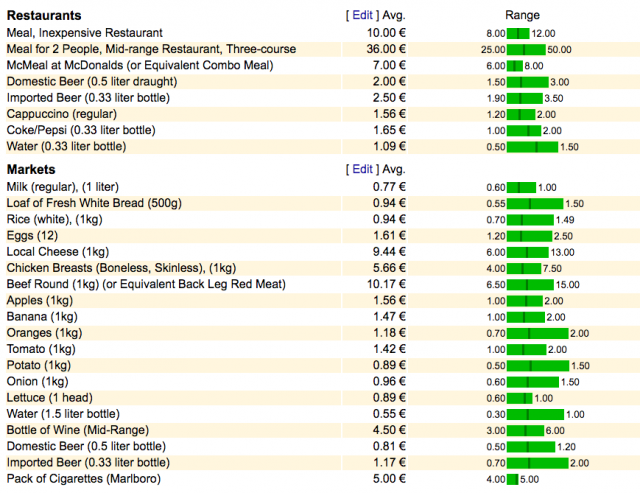 Valencia is a top Spanish city but doesn’t boast the prices of its counterparts. Shopping provides both the larger national stores along with local varieties, and everything from the food to the properties won’t have the hefty price tag other European cities carry around. From the old town restored apartments to beachside or rural homes, your euro will go further. You can walk out of a restaurant after dinner, wondering you just accidentally ripped off the owners with the small bill; but you can also take on a Michelin star quality experience since Valencia provides all the choices. Noise. One study showed that 40 percent of Valencians have poor hearing, and that wouldn’t surprise me. I have gotten more peace on Barcelona’s La Rambla than in an average Valencian street. If you live or stay in the old town, prepare to get no peace. One of my Valencian apartments was on the 30th floor, which blocked out some noise, but my neighbours were always there to shout conversations at each other at 2am. After moving from damp New Zealand to dry Valencia, I loved that I could hang out laundry at midnight and have it dry by morning – until the ever present Valencian dust lands on everything. The city is so often covered in a fine layer of yellow dust, giving the city a dirty look. However, when it rains, the city gleams again. Valencia’s service industry needs a kick in the pants. Many cities could claim the same, but whether it’s the waiters, shop assistants, or the gas repair guy, the attitude can be a pain. Manners and patience go a long way, but still, expect to feel exasperated. Be direct, or you’ll never get a drink. Go to bed at midnight, hoping for an early night because you have to have your face on live TV tomorrow and you don’t want bags under your eyes… BOOM! Some idiots are letting off enough fireworks outside my apartment to ignite a small nation outside. Why? Chances are some obscure fiesta is occurring. The party calendar is pretty full in Valencia, but between the noise, delays in getting official things completed and traffic blockages, it can become annoying. In one city, the different barrios have so much to offer in terms of lifestyle variety. The Salamanca and Retiro barrios have designer stores and architecture, beautiful parks and leans against the some of the greatest art museums of them all. Sol, the literal and spiritual heart of the old town brims with mystery on every little street. Lavapies is filled with both Spanish history and those moving coming to Madrid, giving a superb multi-cultural vibe. Gran Via provides the shopping, Huerta and Santa Ana are packed with bars and cafés, and Chueca has nightlife to die for. No matter your choice, there is a barrio for you and your budget. The golden triangle of art sits proudly in Madrid – the Museo del Prado, Museo National Centro de Arte Reina Sofía and the Museo National Centro de Arte Reina Sofía offer endless hours of delight. But there is more – Museo Panteón de Goya, Museo Sorolla and Museo Lázaro Galdiano among others hidden gems. You will never go hungry in Madrid. From the oldest restaurant in the world, to modern places churning out new ideas, I always feel spoiled for choice. No expertise is needed; simple wander the streets for delicious, traditional and imaginative offerings. All budgets are catered for, as well as all tastes. Even the tapas portions given out with each drink are generous. Madrid was only a small town until 1561 when it was selected as the new capital of Spain. Since then, royalty has built grand structures all over, giving the architecture a deep-rooted and proud style. The Hapsburgs and Bourbons allowed design and size flourish, and each century left its mark. While severely damaged in the civil war, the beauty of the city has been nurtured. 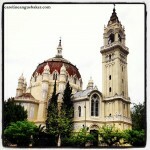 Madrid can be seen as the heart of Spain in more ways than one. The airport provides many flights to locations near and far, and the train systems can get to across the country in no time. Public transport is well-organised, so if you don’t wish to navigate the streets on your own by car (like me), seeing everything is certainly an option. Despite being a bustling city, with green spaces like Buen Retiro Park, Casa del Campo and Campo del Moro Gardens, the Sabatini Gardens and the El Pardo forest bordering the city, you can sit back grab some space. I’m not a big fan of crowds, so the streets of Madrid can feel like a mission in patience. 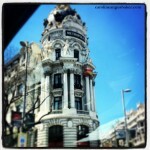 On an average Saturday, walking the streets of central Madrid can be an absolute crush. Even in these times of recession, people are on the streets, shopping and eating. Frustration creeps in with every turn. The weather – it’s not called nine months of winter and three months of hell for nothing. I’m not adept at inland living, and Madrid feels like a pressure cooker in summer, and the winter is biting cold which freezes the bones. Madrileños are strong, proud people who know their own minds. It can feel easy to be written off as a no-nothing foreigner when in a group of locals. If you want to make friends, be prepared to need to work for it. Madrid traffic can be a nightmare! Streets aren’t always well-labelled, and people just step out with an air of invincibility. If you want to drive to the coast for the weekend, the four hour drive will involve 45 minutes of swearing at lights just to leave the city. There is no question that Madrid is the most expensive city in Spain. Buying or renting an apartment will make you cringe in fear, and what you get for your euro can leave a nasty taste in your mouth. From food, to schooling, healthcare, hotels – you name it, the price can certainly annoy. Valencia and Madrid are incredible cities, vastly different to one another, and perfect for travellers and migrants to use as a guide of how different Spanish regions are. As a tourist, both cities are a must-do. For those who love the bustle of the city, Madrid will delight, and those seeking relaxation will favour Valencia. For long-term Spain lovers, work would be the biggest issue, with jobs hard to come by in both cities. Study costs in depth before making a decision. They say you never forget your first love, and for me that is Valencia. The good outweighs the bad by a mile. Do you agree or disagree with Caroline’s thoughts? Where would you rather live? 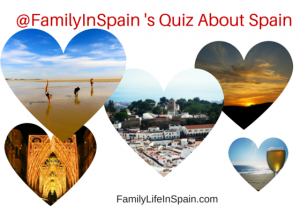 Post your comments and we will welcome other ideas too about where to live in Spain.